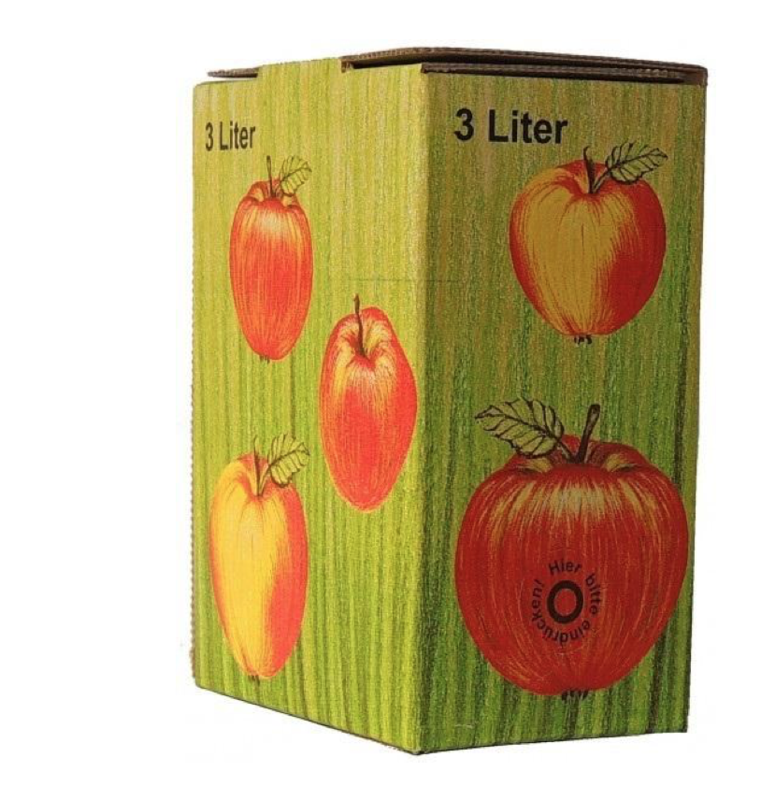 Boxes are designed to hold Bag-in-Box juice storage bags. The bags are filled with juice and then placed in boxes to protect them from light and store them more conveniently. Carton boxes filled with juice bags can be stored on top of each other. Carton boxes are simply folded together and can be used repeatedly. At the bottom of the box, there is an opening for the tap that you can fold out which allows you to consume the juice or wine from the bag inside. Boxes are available in two designs- green with apple pictures or classical brown carton. The minimum order for carton boxes is 10 pieces. The larger the order, the cheaper the price per piece will be.